The Ultimate PC Game Booster! Optimizes PC performance to achieve the best gaming experience. Game Fire can significantly enhance your gaming experience by boosting system performance and reliability in order to eliminate in-game lags and improve game FPS (frames per second). 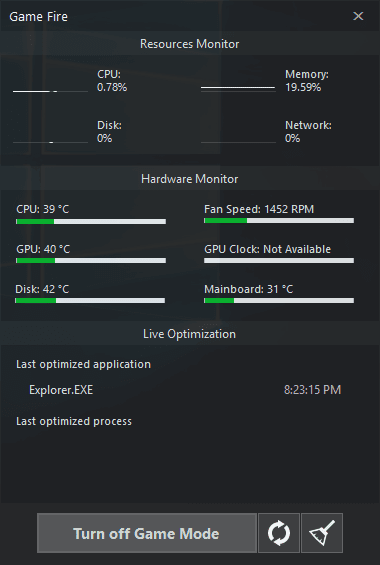 Game Fire optimizes your computer performance by turning off unnecessary system features, applying various system tweaks and focusing computer resources on games you are playing. The end result would be a great gaming experience with a single mouse click. Unlike other game boosters, Game Fire can boost games and applications performance in real-time allowing them to fully utilize available computer resources like CPU and memory and in the same time it deprioritize unnecessary and background processes. Game Fire also provides real-time system health and performance information like the CPU and GPU temperature and clock speed. 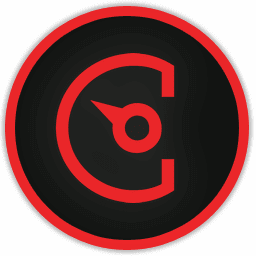 Game Fire allows experienced users to have control on every aspect of the optimization process using an easy and powerful user interface. 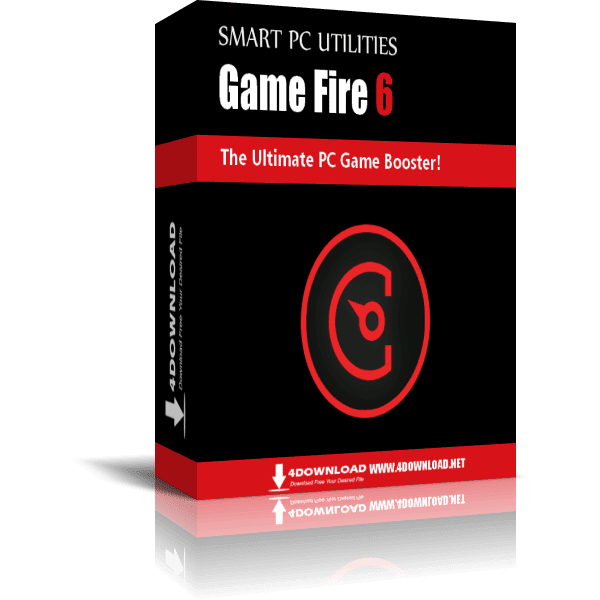 Game Fire also provides a wide range of powerful optimization tools that can squeeze every bit of performance out of your computer like a disk defragment utility, settings tweaking tool, applications optimizer and many more. Apart from boosting games performance, Game Fire enhances your gaming experience by allowing you to manage all of your favorite games whether local or online including games from popular gaming platforms like Steam from one place that you can reach from anywhere on your computer. Game Fire is a safe game booster as no over-clocking is done to your hardware and almost all changes made by Game Fire to your system settings are temporary.